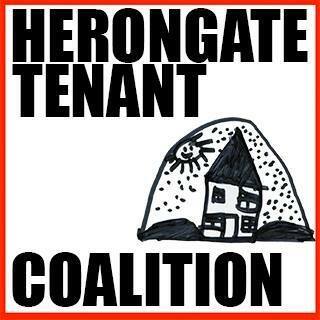 We are a group of tenants in the Herongate neighbourhood of south Ottawa who are fighting back against mass evictions, demolition, rent increases. The landlord, multi-billion dollar Timbercreek Asset Management, owns housing for 4,000 people in Herongate and we are trying to stop them from tearing our neighbourhood apart. We are working towards a vision of resident-control and community ownership of land, to prevent speculators and other financial actors from pushing out low income tenants.